You’ve heard all about the monumental growth in the healthcare field. You know that job opportunities are rapidly increasing and earning potential is above average. You also like the idea of having a career that’s contributing to society in a positive way. But you just aren’t interested in becoming a doctor or a nurse. In fact, you’d prefer staying behind the scenes altogether, avoiding direct patient care. That’s why you’ve sparked an interest in the medical coding field. This offers you the perfect opportunity to have a meaningful career without going outside your comfort zone. You’d get to play an integral role in reporting and categorizing important information from patient visits. But how exactly does that information get recorded? 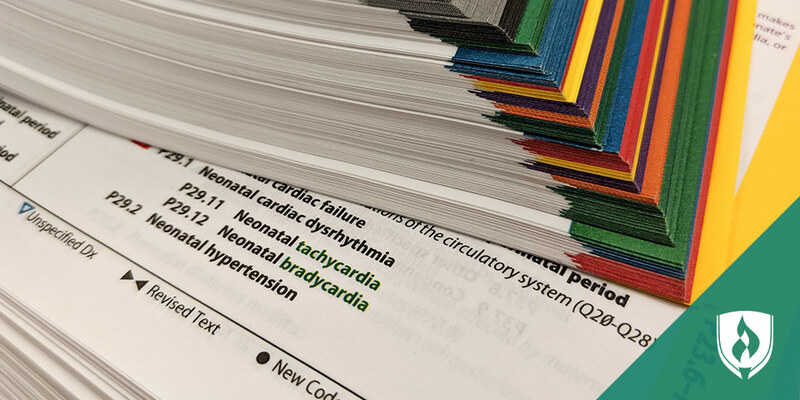 What types of medical codes are used throughout the process? Join us as we take a closer look at why these coding systems are important and the most common medical coding systems: CPT, ICD-9 and ICD-10. Keep reading to gain a fundamental understanding of each. What do medical coding systems do? Coding systems, including CPT, ICD-9 and ICD-10, allow for the transformation of the narrative description of diagnoses, procedures, services and other identifiers into numbers which represent that data, as explained by Linda Kennedy, Department Chair of the Medical Billing and Coding program at Rasmussen College. Kennedy says an everyday example of this type of numeric system that classifies data in a similar way would be a zip code. This represents the area in which a person lives, instead of the name of the city or specific section of a city. Use of the zip code improves the efficiency of the mail delivery and allows for the classification of other information. In the same way, medical coding systems are numeric representations of data that allow for more efficient retrieval of information by diagnosis, procedures and services. This information is used for research, database reporting needs and reimbursement for services. While these coding systems are critical to the reimbursement process for medical services, that’s not their sole purpose. Hospitals may look at the number of pregnancies and deliveries in their geographic location to determine if they should expand their obstetrics services. The Center for Disease Control (CDC) may review medical codes for new mumps cases to make recommendations on if booster immunizations are needed in a specific area. 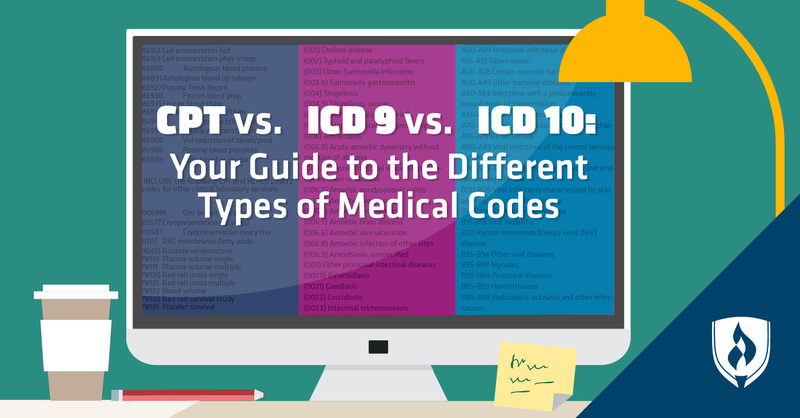 Now that you understand the purpose and importance of medical coding systems, let’s take a closer look at the differences in CPT, ICD-9 and ICD-10. Simply put, CPT coding is a U.S. standard for coding medical procedures. By standardizing medical communication across the board, CPT identifies the services provided, and insurance companies use that information to determine how much physicians should be paid. While the coding system is maintained and copyrighted by the American Medical Association (AMA), the real management happens with the CPT Editorial Panel, which meets three times a year to work through issues related to emerging technology, difficulties with procedures and other issues related to the coding system. Individuals can apply for new CPT codes or appeal for changing current codes by submitting proposals to the CPT Editorial Panel. Widely recognized all over the world and used in more than one hundred countries, ICD coding is the standard international system for recording diagnoses and classifying mortality and morbidity statistics. The World Health Organization (WHO) developed the ICD and still monitors it today. In the U.S., the National Center for Health Statistics (NCHS) supervises all changes made to the ICD codes, along with the WHO. 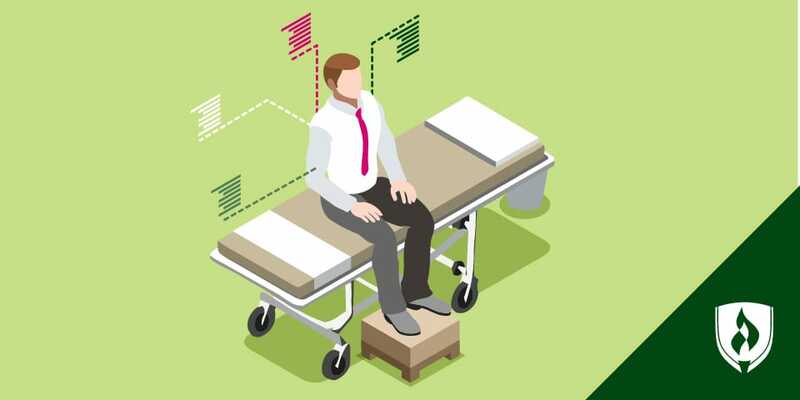 The ICD-9CM (International Classification of Diseases, 9th Revision, Clinical Modification) is the ninth version of the ICD coding system and connects the health issues of patients by using three- to five-digit alphanumeric codes. These codes denote signs, symptoms, diseases, conditions and injuries. They are often used together with CPT codes to update the patient’s medical record and then reported to a payer for reimbursement. There are very few instances in which ICD-9 is still used, as it has been replaced with ICD-10. ICD-10CM (International Classification of Diseases, 10th Revision, Clinical Modification) is the tenth revision of the ICD coding system. As of October 2015, when the United States began implementing this version, all countries across the globe now use it. It classifies the diagnoses and health issues of patients using four to seven digit alphanumeric codes. These codes denote signs, symptoms, diseases, conditions and injuries. While the guidelines and conventions of the code are similar, the ability to organize and add more detail to the codes increased exponentially with the move from ICD-9 to ICD-10. Because the ICD-9 is organized scientifically, each three-digit category can only have ten subcategories—there was no longer room to expand the code, which did not accommodate the amount of diseases and symptoms present in our modern-day world. While the ICD-9 housed approximately 13,600 codes, the ICD-10 holds approximately 69,000 and allows room for additional expansions as new diagnoses are discovered and added. Mandated by the U.S. Department of Health, the ICD-10 version of the code took over the ICD-9 on October 1, 2015. The change in coding systems was a huge undertaking, and it required a lot of planning and a period of adaption. 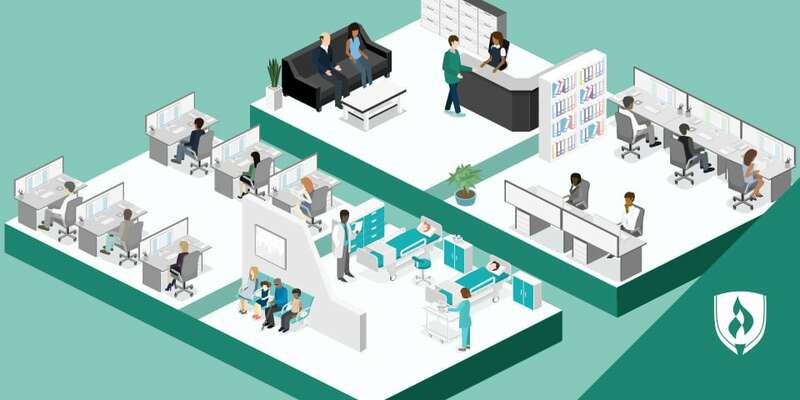 It also required extra training for coders, billers, practice managers, physicians and other health care personnel—but in the end, the change is certainly an improvement from the ICD-9. The implementation of ICD-10 in the United States has so far proven to be a positive change for the healthcare industry, and medical claims data has shown no major increases in denials or decreases in reimbursements, according to ICD10Watch. Kennedy believes that the increased specificity allowed by the expansion of the number of codes in ICD-10 compared to ICD-9 will continue to provide more meaningful statistics on the health of the world, resulting in research to lead to medical innovations. 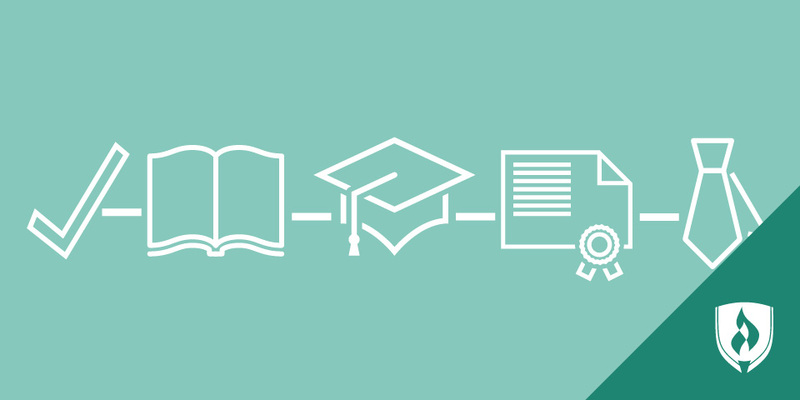 You now have a basic understanding of CPT, ICD-9 and ICD-10 coding. Being familiar with these different types of medical codes is necessary to the field. It’s also important to understand that these coding systems are not only used for reimbursement for medical systems, but also to drive business decisions, database development and medical research. Determining these codes as a medical coder is an important role in the healthcare industry. And as complicated as it may seem with so many different systems involved, the profession isn’t as intimidating as you might assume. A little insider information can go a long way in preparing for the profession. Hear what the experts have to say in our article, Mastering Medical Coding Is Not as Hard as You Think.